Big accountancy companies now help run many aspects of British life, with contracts across the public sector. Simon Cox explores if that guarantees value for money for taxpayers. The UK is said to have more accountants than almost any other nation on earth. Thanks to reforms in the way the public sector is run, the "Big Four" accountancy firms and the accountancy profession generally has become more powerful and more influential than ever before. But what do these accountants actually do and what does it mean for taxpayers? To find out, Simon Cox meets the residents of Birmingham, who are dealing with the reality of the accountants' decisions. And he speaks to the nation's top accountants to ask how their profession is changing and what the future holds. The last 20 years have seen many services which used to be run by local councils outsourced to the private sector. Capita, formed by a former government accountant, has taken the lion's share of these contracts, which often involve a team of Capita accountants deciding where to make cuts in local services. 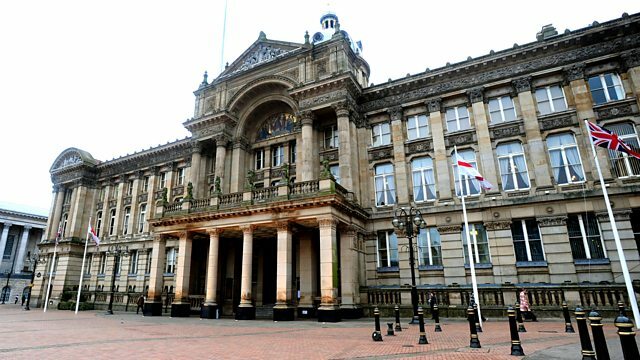 In Birmingham a massive IT and 'business transformation' contract between Capita and the City Council is proving highly controversial - with claims that it is diverting money away from public services and into private sector profit. Private Finance Initiatives (PFIs) form another kind of management model which accountants helped create and which added to the growth of the Big Four accountancy firms - Deloitte, Ernst and Young, KPMG and PriceWaterhouseCoopers - over the last two decades. Birmingham is home to one of the biggest PFI contracts ever signed, with a private contractor in charge of roads, trees and street lights. Have the accountants engineered a good deal for Birmingham? The next big growth area for the accountants is the NHS as doctors seek their help in commissioning and managing local services under the health service reforms. But what does this mean for the people on the NHS front line?